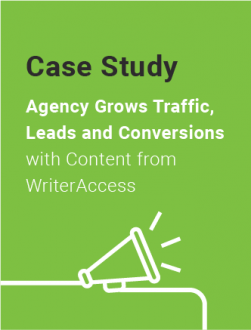 Deliver the content services your clients demand for content marketing success, and grow recurring revenue for your agency. 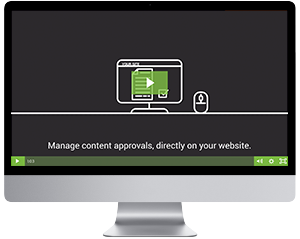 Pro for Agencies membership comes with a white label solution to scale content services with ease. 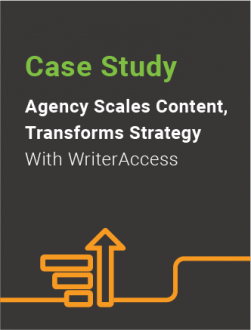 Access a private pool of freelance writers, editors, and strategists to scale content creation services. Spend more and get more recognition, promotions, and volume discounts to grow your agency. Our white label solution is like a GPS for content services, with your brand center stage supporting all the back and forth with clients. Instantly access a private pool of freelance writers that are all screened, proven professionals with the expertise you demand for each and every client. 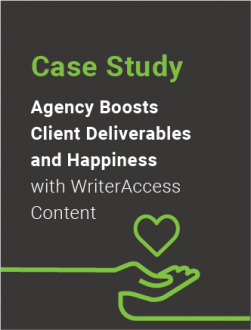 Agencies get the partner benefits they expect, like volume discounts, dedicated support, client spend reports, and more. Take a look at the video below for a quick view of our solution for agencies. Or request a live demo of our platform now! Making the case. Stories from agencies. How it works. Why you win. Let’s face it. You need to deliver the steady stream of quality content to your clients. And our white label solution is just what you need. PRO software. Designed for agencies. Go with PRO Software for advanced tools designed specifically for agencies with features like white label solutions, multi-client management, quality rulesets and more.